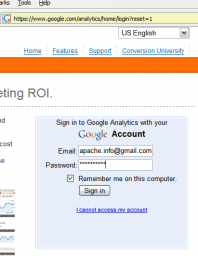 Adding Google Analytics to clients' sites is a no-brainer, it ROCKS! Special Thanks to Bowman Technology for coming up with a fix for problems people were having. I'm glad it still is a working technique, Thanks! BT. 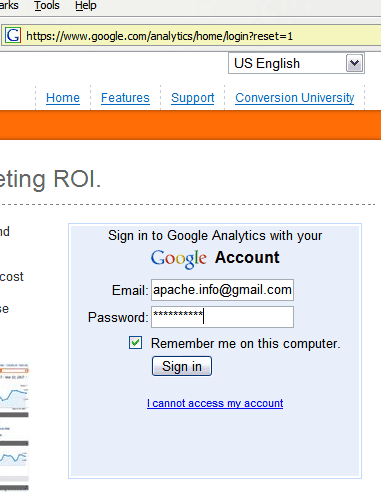 Of course you need your own Google Analytics Administrator Account, if you don't already have one. In this example the username is askapache.info@gmail.com for the site AskApache.info, pretty easy to remember huh! Now all you need is the code to let your clients login without a username or password, because they prefer to roll down easy street whenever possible. 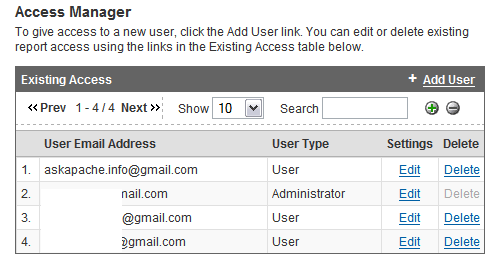 You should be able to use the exact form code I have provided (view source), modifying only the username and password. If you'd like you could use a Firefox add-on like Web Developer or Live HTTP Headers to view the form data. If you were really cool you would much prefer to use WireShark and view the HTTP protocol in detail. 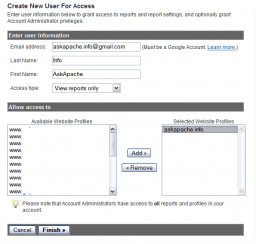 Basically you need to know the data that is sent to Google by the login form, then you can imitate that same data being sent by using a form on your own site. NOTE: I'm still waiting to hear from google whether or not they are OK with this method, so if anyone hears anything let me know!